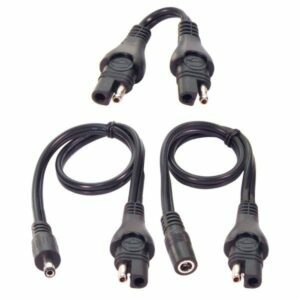 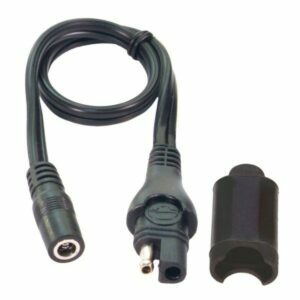 SAE to DC2.5mm socket adapter for heated apparel that is delivered with a DC2.5mm plug. 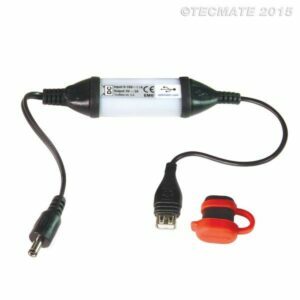 Fits the O-01 battery lead or any SAE battery lead. 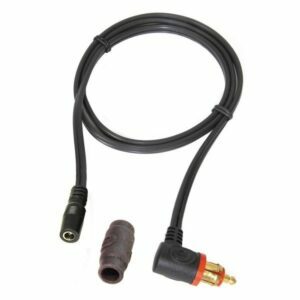 Power your heated apparel from a Ø12mm DIN power socket on BMW, Triumph, Victory, John Deere, Honda GW.